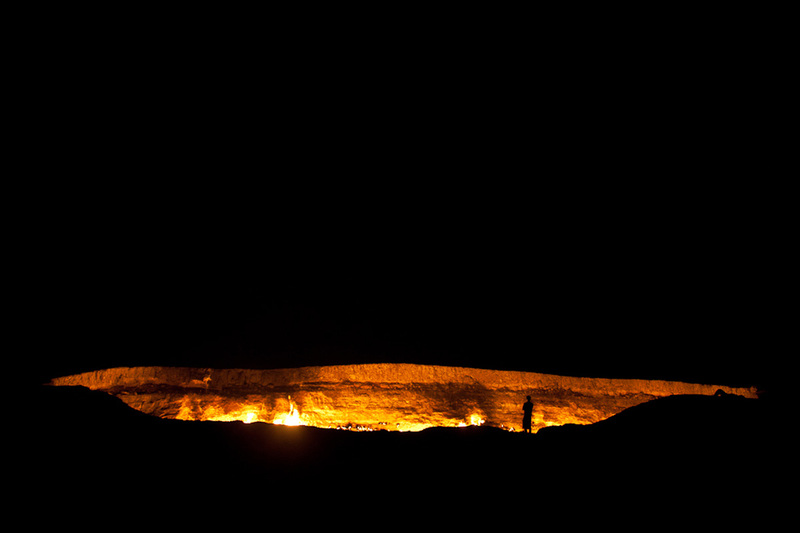 Nicknamed the ‘door to hell’, the Darvaza Crater in Turkmenistan has been burning for over 40 years. 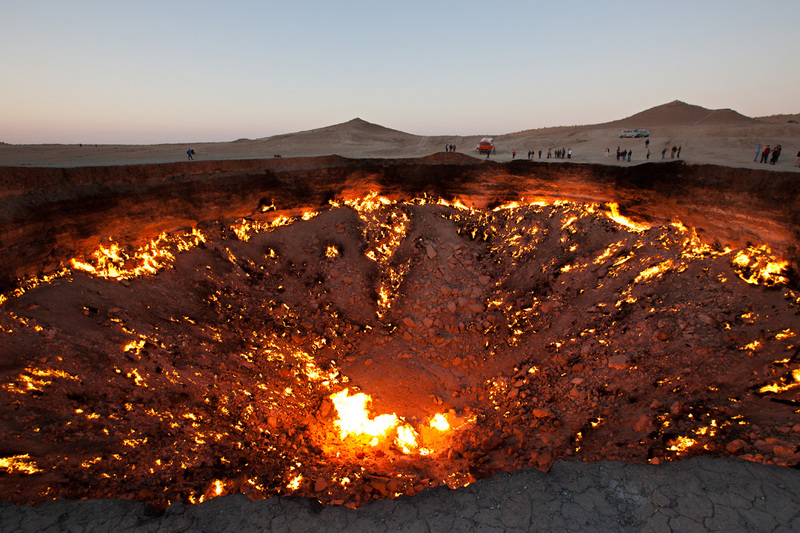 The 225 ft wide (69 meters) and 98 ft deep (30 meters) crater is located in the middle of the Karakum Desert which occupies about 70% of the area of Turkmenistan. 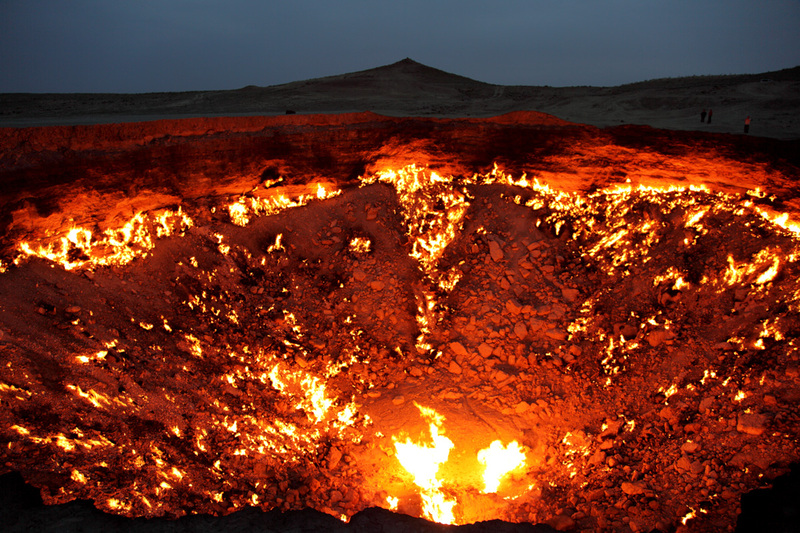 Turkmenistan possesses the world’s fourth largest reserves of natural gas in the world and Darvaza Crater is located in the heart of a natural gas field in the Ahal region, about 270 km (168 miles) north of the country’s capital, Ashgabat. 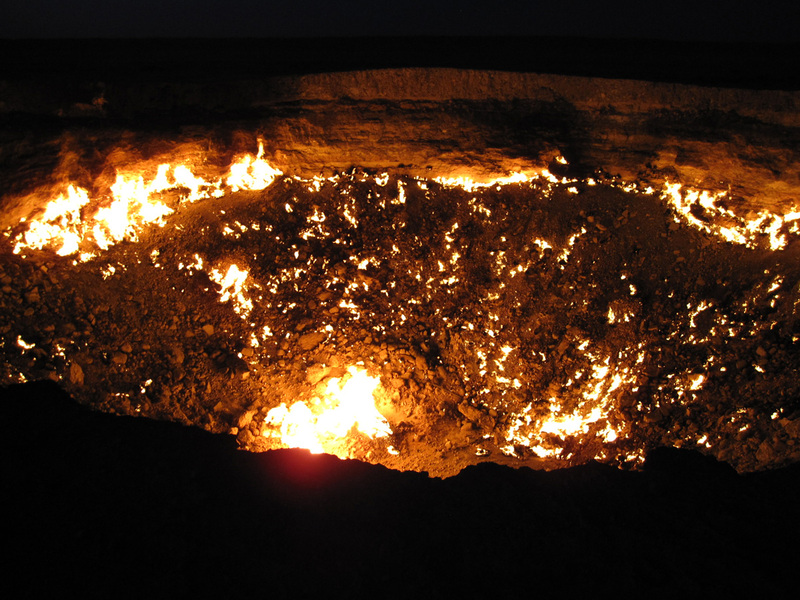 Although the origin is still disputed, the widely accepted story is that Soviet geologists in 1971 were drilling a borehole to prospect for gas when they accidentally drilled into an underground cavern, creating a sinkhole. 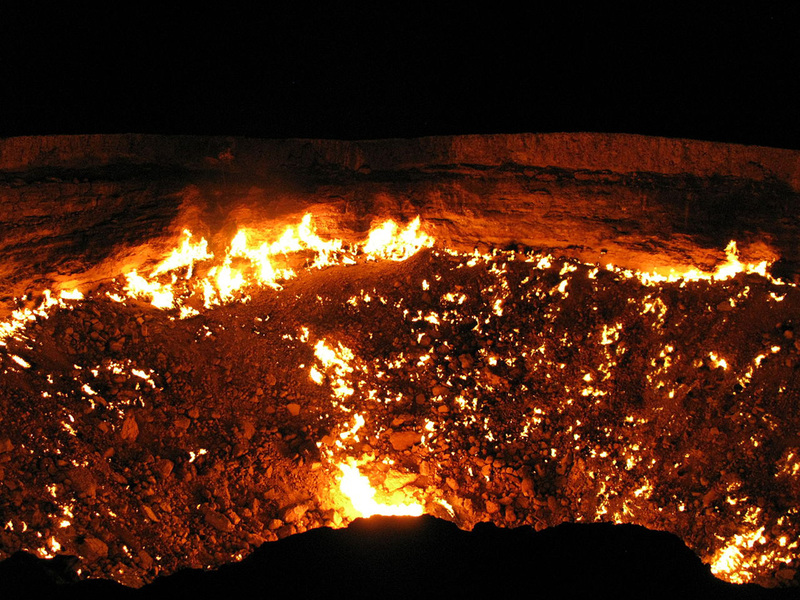 Fearing the crater would emit poisonous gas the scientists decided to set it alight, thinking the gas would eventually burn out. It hasn’t.